5 Sites similar to PCHGames.com Where You Can Play to Win Cash Prizes. 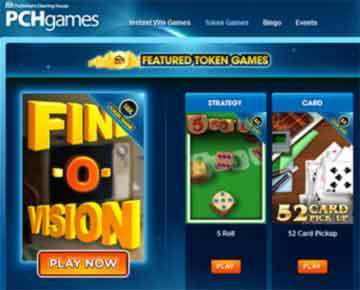 We all know, Publishers Clearing House Online Games Platform but lets take a pick at other cash game websites that have free slots games, casino games, card games and tokens. Playing games is a great way to pass the time, but it’s better when you could use it to your financial advantage? You can. There are many other sites out there like PCHGames that will allow players to play games and earn cash at the same time. Here are five other you should consider: Swagbucks ( swagbucks.com )This is a great site to sign up for if you are looking to earn cash. There are many things you can do there and you are paid in a currency called Swagbucks. One you earn enough of them, you can convert them into real money. The best part is that you don’t have to pay anything in order to become a member. PogoGames site is great because every game you play comes with the opportunity to take a jackpot spin. 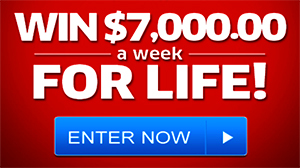 There is a chance that you could win up to $4,999 instantly. While there are paid games on this site, people who play the free games are given the same opportunity. Instead of sitting around and wondering if all of this is true, you should start signing up with the sites mentioned here. It will give you the opportunity to kill some time, have some fun and make a little cash in the process. Good Luck! Pch $4999 instance money to have holy. Holy. There has been many moments I have had dreams of winning $5000 per week forever.Give me my dream and activate my entry so I can fulfill those dreams. and the activation code would not go through. I don’t think this is fair, on a post card, so everybody can see the number, REALLY!!! !